Spring 2010 EtsyRAIN Spring Craft Show: Pacific Fabric & Crafts! 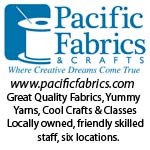 We are so excited to have Pacific Fabrics & Crafts on-board as an official show sponsor! In addition to their generous financial support, they are giving us some goodies to put into our swag bags along with coupons for discounts in their stores. How cool is that? Very cool, I'd say! We are honored by this incredible show of support by a wonderful Seattle-owned company and we are SO grateful. Have you been to a Pacific Fabrics & Crafts store lately? 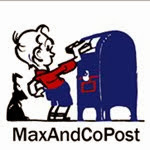 Did you know that they have 6 locations? Indeed. Bellevue, Bremerton, Everett, Northgate, Puyallup and an Outlet Store on 4th Avenue in Seattle. 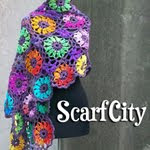 Every one of them are super-crafty havens where you'll find a of everything from books to batting, fabric to foam, notions to novelty items plus yarn, needlework supplies, home decor fabrics and a whole lot more. Want to learn a new hobby or just improve your skills on the one(s) you have? All Pacific Fabrics & Crafts locations offer great classes too! Take a look at their class and event calendars and you'll see why Pacific Fabrics & Crafts is such a beloved part of the Puget Sound handmade community. 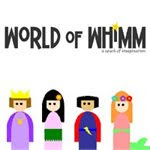 NEW sponsor for the upcoming EtsyRAIN Spring 2010 show! 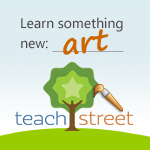 Teachstreet.com is an official trade sponsor of the 2010 EtsyRAIN Spring Show! Teachstreet makes it easy to find great classes in your area on everything from Art to Zoology and everything in-between. Teachstreet makes it easy to teach great classes too! Signing up is easy and very effective for teachers of all disciplines to find students in their area. 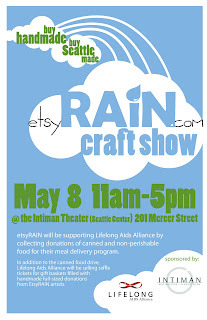 Join us for EtsyRAIN's 2nd Annual Spring Craft show at the fabulous Intiman Theater at the Seattle Center from 11 a.m. to 5 p.m. on Saturday, May 8, 2010. Bring your friends! Bring your family! Be sure to Shop EARLY! 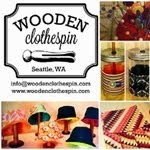 First 50 customers receive FREE swag bags full of goodies from local artists! 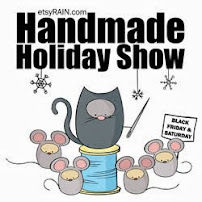 EtsyRAIN members like to help the community as much as they like to help each other. For each show, they choose a charity to support. The featured charity for this year’s spring event is Lifelong Aids Alliance. Admission to the event will be a suggested donation of $1 that will go directly to Lifelong Aids Alliance or a canned or non-perishable food donation for their meal delivery program. 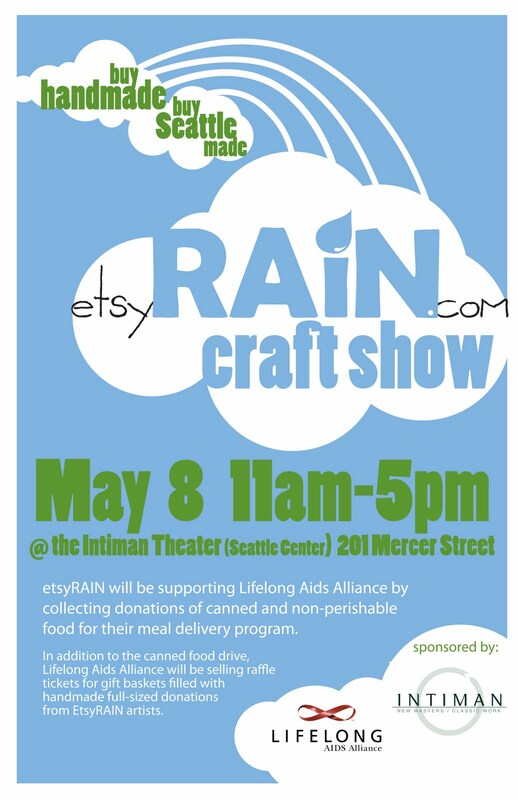 In addition to the canned food drive, Lifelong Aids Alliance will be selling raffle tickets for gift baskets filled with handmade full-sized donations from EtsyRAIN artists.